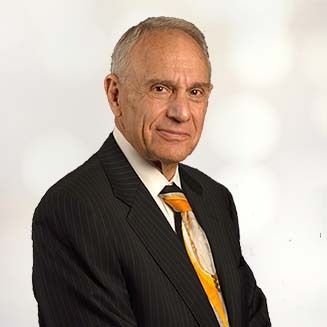 Larry A. Epstein, Of Counsel, began practicing law in 1975 as a sole practitioner and after several years transitioned his practice to focus exclusively on family law matters. He later established a large multi service law firm serving clients throughout Los Angeles County before returning to solo practice in Sherman Oaks and Encino where he again focused exclusively on family law matters. In addition to over 42 years of experience assisting families through legal matters, Mr. Epstein has been committed to his legal community, serving as Chairman of the San Fernando Bar Association, Family Law Section, and the Executive Committee for the San Fernando Valley Bar Association for over fifteen years. Mr. Epstein is also dedicated to community service as a volunteer Daily Settlement Officer and Judge Pro Temp for family law cases in the Van Nuys, San Fernando and Chatsworth Superior Courts. In 2012 Mr. Epstein received his first of seven consecutive Thompson Reuter’s Super Lawyers distinctions in recognition of his extensive experience. In addition to his Super Lawyers distinction, Mr. Epstein holds an AV rating from Martin-Dale Hubble highest ethical standards and professional ability. Mr. Epstein looks forward to providing his years of experience and knowledge to assist families in the Los Angeles and Ventura Counties in his new role with The Reape-Rickett Law Firm.